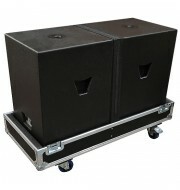 This flight case is for two KV2 EX12 speakers, built using 9mm birch plywood and bonded with laminate. 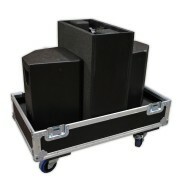 The internals contains two bays to hold each speaker and a rectangular compartment for accessories which divides both sections. 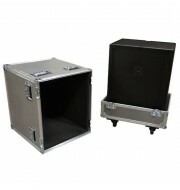 The exterior of the lid has castor dishes to enable the user to stack the case and optimise storage options.